About 90 women and 10 men have been sterilized in Ratangarh (रतनगढ) town in the Churu district of Rajasthan. This is a complete flouting of the prescribed number of sterilisation operations under the government guidelines. 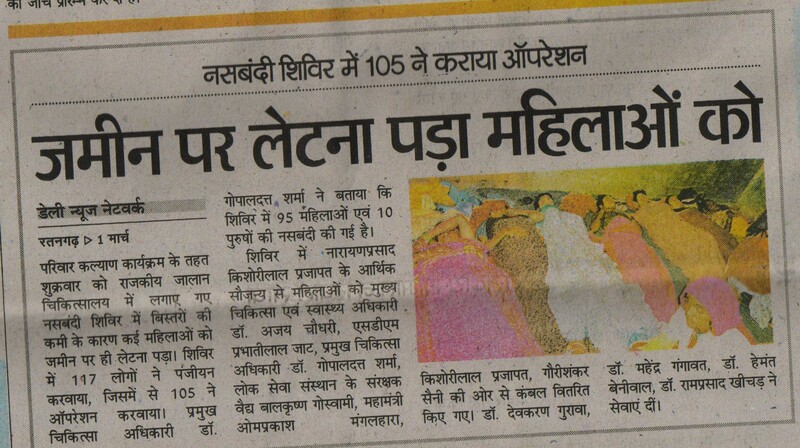 The news report below also specifies that due to unavailability of beds, women had to rest on the floor.